Particle Sizing on Autonomous Underwater Vehicles (AUV’s). The LISST-Glider is designed to fit into autonomous underwater vehicles (AUV). It has the same specifications and performance as the LISST-200X particle size analyzer. It measures particle size distributions, concentrations and other auxiliary parameters. 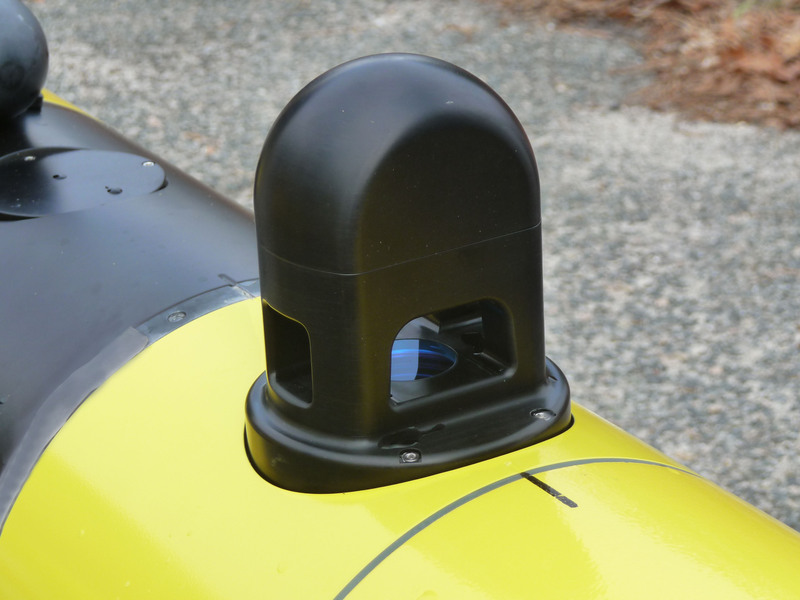 The LISST-Glider is available for Teledyne Webb Research’s SLOCUM G2 and G3 gliders. 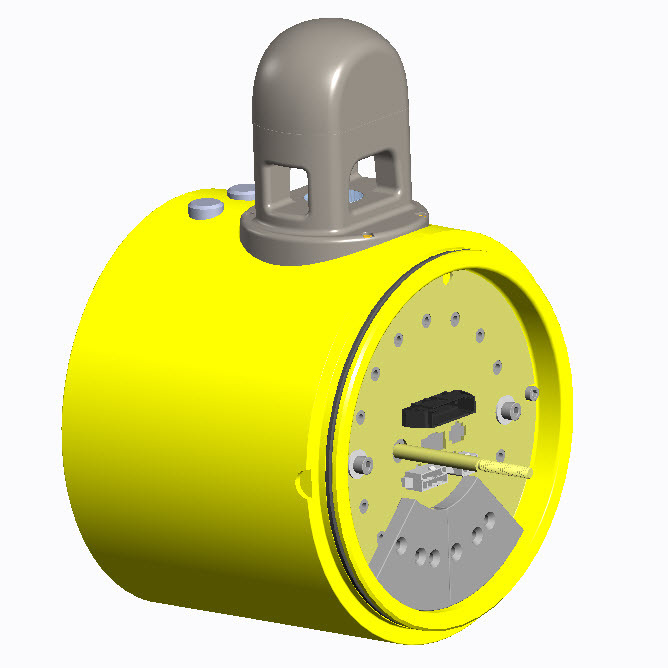 It can be purchased from Teledyne Webb Research company in Falmouth, Massachusetts. 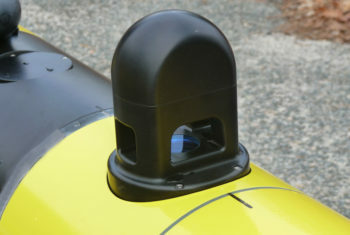 The LISST-Glider is being added to other AUV’s such as the NOAA Oculus glider. Please contact us for more information about integration with other gliders and vehicles. The LISST-Glider is a submersible laser-diffraction based particle size analyzer designed to measure particle size and concentration in ports, harbors, coasts, lakes and oceans, whether for biological, sediment transport, or environmental monitoring needs. Applications include sediment transport studies, harmful algae blooms, oil spill dispersion effectiveness, dredge plume monitoring, etc. For marine optics applications the LISST-Glider provides the small-angle Volume Scattering Function. 20+ years of LISST-100X experience combined with feedback from users has led us to create this repackaged version of the LISST-200X. It is currently available as an option for the Teledyne Webb Research Slocum G2/G3 Glider. A version is also being built for integration with NOAA Pacific Marine Environmental Laboratory’s OCULUS glider. Integration into other gliders and vehicles may be possible. Contact us for more details. Like the LISST-200X, the LISST-Glider measures particle size and concentration of particles from 1 to 500 microns in 36 size classes at up to 1 Hz to depths of 600 meters. Data is stored on-board the instrument in a file compatible with standard LISST-200X processing software. Summary information, such as Mean Size, Total Concentration and Beam Attenuation is output to the glider for possible transmission to the glider operators via satellite uplink. The LISST-Glider was first developed in 2016 through a project with Rutgers University who received DURIP funding from the US Office of Naval Research. Ten LISST-Gliders for the Teledyne Webb Research Slocum G2 Glider were delivered to Rutgers in early 2017 and are currently being deployed around the world for various applications. 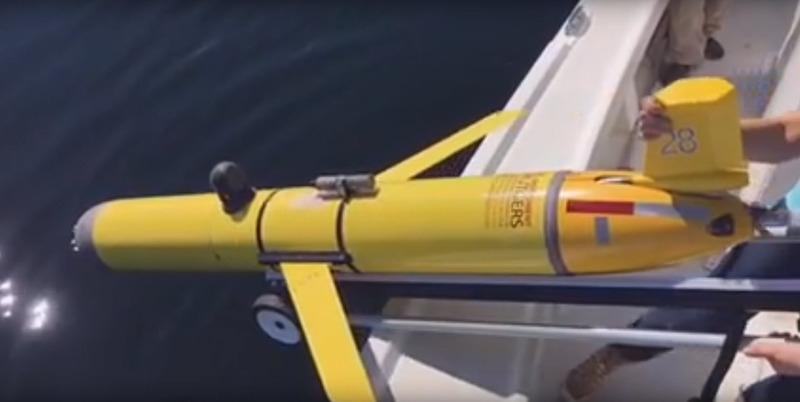 One of the first deployments of the LISST-Glider was off the coast of New Jersey in September 2017 ahead of Hurricane Jose. It able to provide real time particle size and concentration data during the storm period that could not be safely measured previously. The LISST-Glider for the Teledyne Webb Research Slocum G2/G3 glider is being sold through Teledyne Webb Research. For pricing information you can contact them directly or send us your contact information and we will forward it to them. Sequoia Scientific will be supporting the LISST-Glider including non-glider related operations and questions regarding data analysis. For information about LISST-Glider on other gliders contact Sequoia. I am interested in a quote for the LISST-Glider. Who should I contact? The LISST-Glider for the Teledyne Webb Research Slocum G2/G3 glider is being sold through Teledyne Webb Research. You can contact them directly or send your contact information to us and we will be happy to forward it on to them. I am interested in adding a LISST-Glider to my glider. What are the basic requirments for the integration? The LISST-Glider uses many of the same components as the LISST-200X. The pressure case of the LISST-200X is replaced by the body of the glider. Therefore, the payload bay needs to be water tight and not a flooded compartment. The LISST-Glider is inserted into a hole in the side of the glider body that is 3.375″ (85.7 mm) in diameter and needs enough thickness for a radial o-ring seal. Typical minimum diameter is about 9″ (229 mm). Feel free to contact us for more specific information.